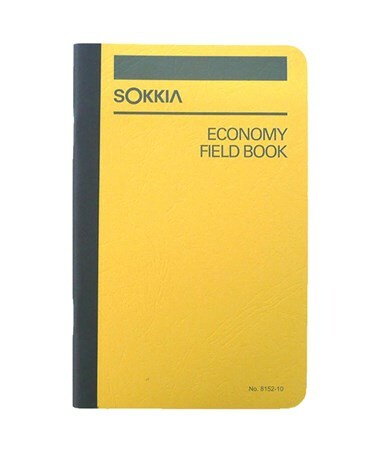 Page size: 4 ½" x 7 ¼"
The Sokkia Economy Field Book is an affordable yet sturdy record and notes keeping book great for outdoor use. 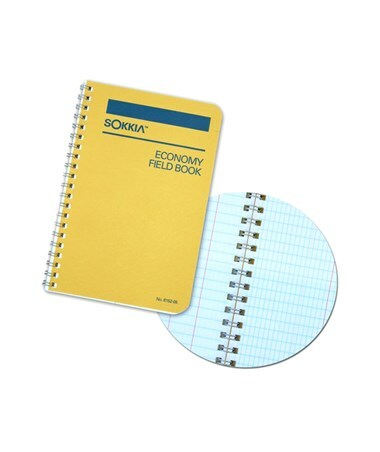 This field book has a highly visible cover and either stapled or spiral bound. It is constructed to withstand rugged handling under all climatic conditions. The 4 ½-inch by 7 ¼-inch pages have blue horizontal lines and six vertical columns on the left and 8 x 4 blue lines and a red vertical center line on the right. These pages are made of fine quality water-resistant ledger paper with waterproof blue and red inks. 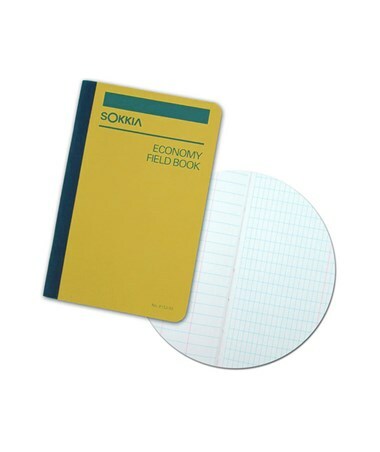 In addition, an appendix of conversion tables, trigonometric functions, and formulae for solving right angles and curves are included in this field book. 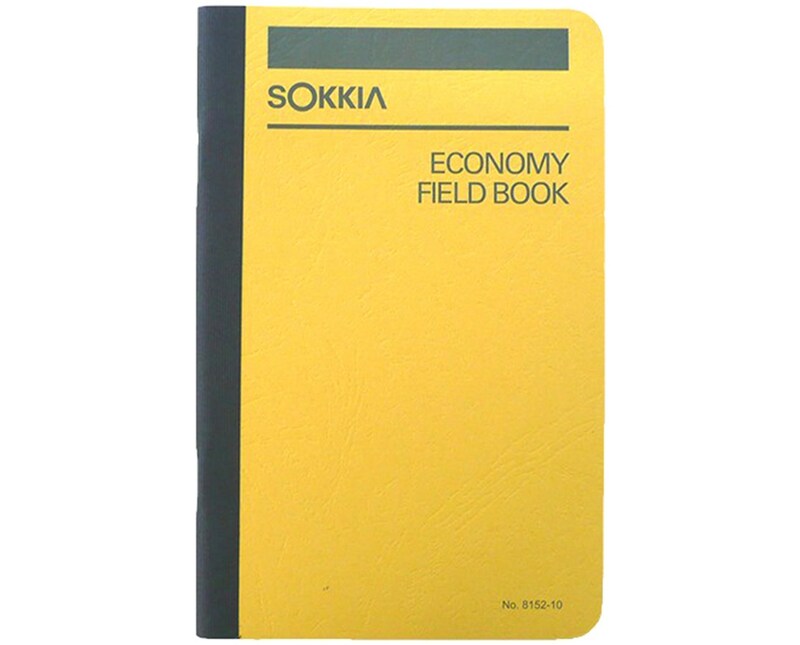 The Sokkia Economy Field Book is available in two different bindings. Please select your preference from the drop-down menu above.